More than 400 classic cars and 75,000 people packed College Avenue in downtown Appleton, Wisc. 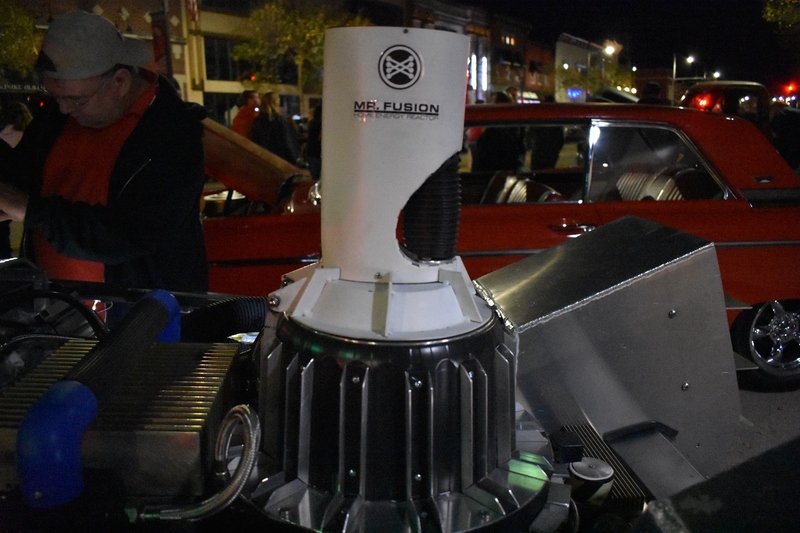 this past Friday night at the annual License to Cruise car show that kicks off the city's mile-long Octoberfest. Just about every category of classic cars was represented from timeless European sportscars to iconic American muscle cars and everything in between. However, there was one car that was more orbited, captured more enthusiasm, and was the subject of more selfies than anything else in the mile of cars on display. 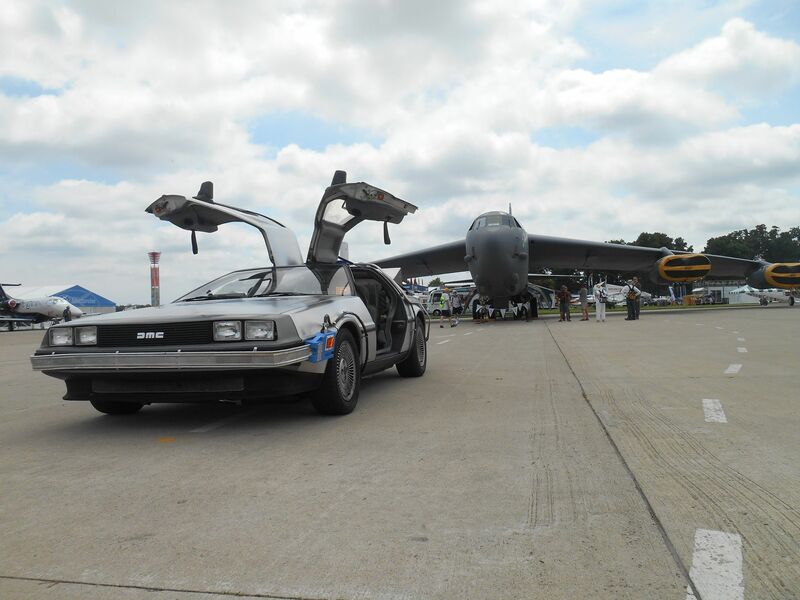 It was a perfect replica of the DeLorean-based time machine from the 1985 film Back to the Future. To the untrained eye, this car might as well be the real one from the movie. In fact, as I was looking for the owner to ask him my many questions about the car, I overheard a few people ask each other if this was the DeLorean they saw on the big screen more than 30 years ago. It’s that convincing. I identified owner Matt Hissem when I noticed a man in subtle Marty McFly cosplay sitting in a lawn chair on the sidewalk behind the car. He was clad in jeans, a red vest, a denim jacket, and a Back to the Future t-shirt. Hissem was happy to tell me all about his car, which is a local celebrity. It all started with an obsession with the time machine from the cult classic movies that captured Hissem’s imagination back in the '80s. “It was something I never got over,” Hissem said of his dream of driving the time machine. He grew up building models and wanting to bring the Back to the Future time machine as close to a reality as he could. It’s safe to say he’s succeeded. Hissem’s DeLorean DMC-12 is so movie-accurate that Christopher Lloyd, the actor who played Doc Brown in the Back to the Future films, has sat in the car and autographed it. It was at an event at a movie theater in Milwaukee, Wisc. where Hissem was invited, but hesitant to attend at first. 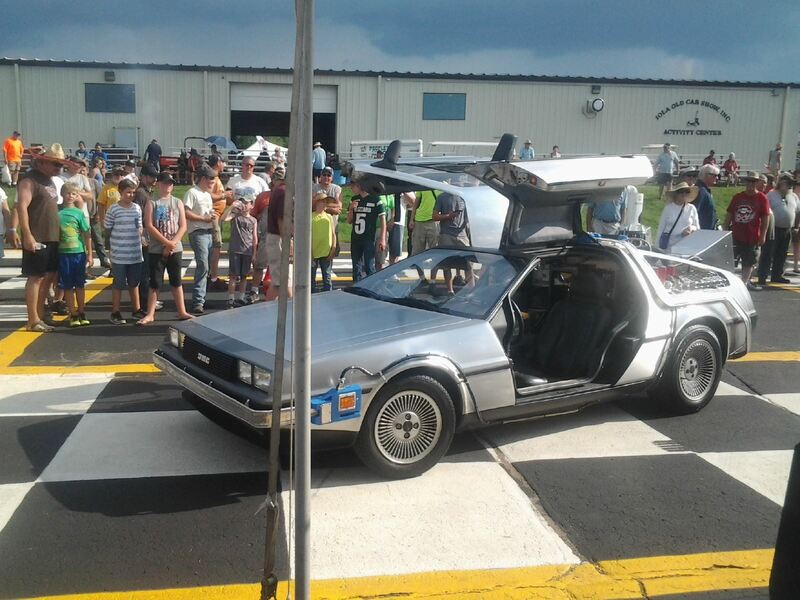 It took place in February and he didn’t want to deal with a 100-mile drive in his DeLorean in Wisconsin winter. However, the day of the event came and the temperature was in the 40s (that’s really nice for February in Wisconsin) and all of the snow on the roads had melted. He decided to go last minute and got to meet Lloyd who Hissem said was very quiet, polite, and was impressed with his car, but didn’t make a big deal of it. 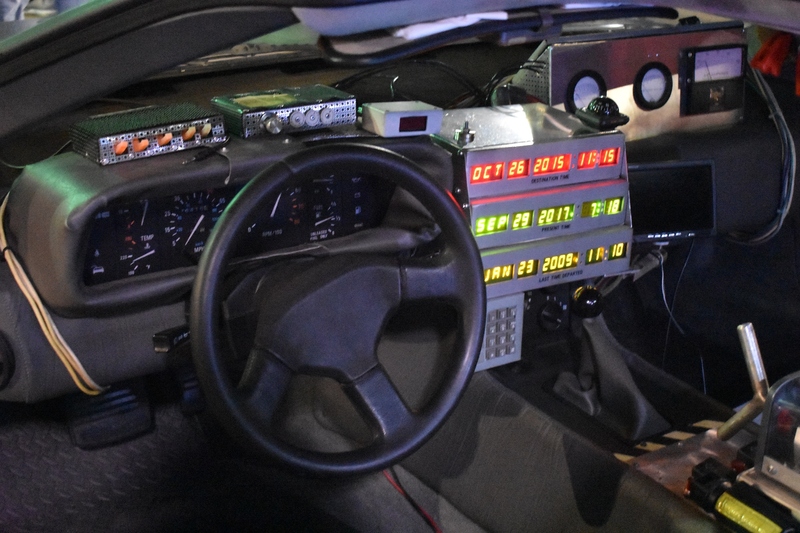 To be fair, Christopher Lloyd’s character built the real thing and he’s probably hard to impress with replicas. When Hissem bought his DeLorean, it was in rough shape. He did a full, ground-up restoration that took about six months. After the restoration was complete, it only stayed in stock form for a few months before the time machine transformation began. It took about four months to turn the DeLorean into a time machine and Hissem was very careful in transforming his car. 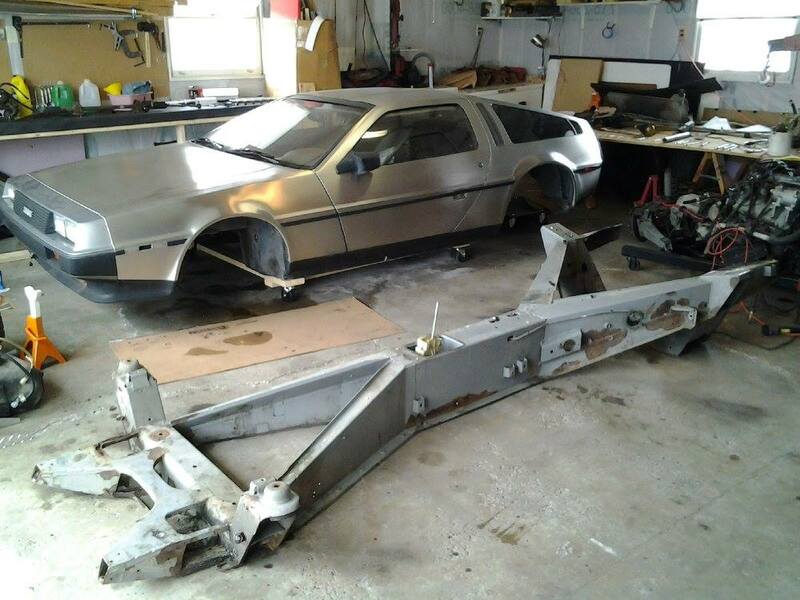 Every modification he made is temporary and can be removed at any time to return his DeLorean to stock form. Everything from the flux capacitor to the Mr. Fusion looks quite permanent, but it can all come off whenever Hissem wants. Engine swaps are common in DeLoreans because the original PRV V-6 that originally came in these cars is infamously lacking in performance. 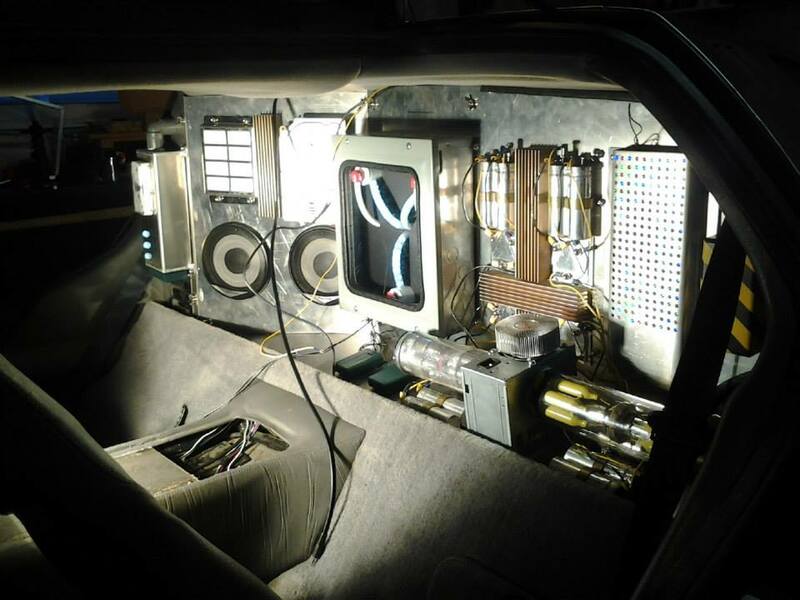 However, Hissem’s DeLorean still has the PRV engine and automatic transmission that came with the car. The automatic transmission is one of the only parts of the car that isn’t accurate to the car from the movies. Marty’s had a manual. I asked if he’s considered an engine swap and he enthusiastically affirmed that he has. He doesn’t have anything specific in mind and he’s even considering an electric conversion, but for now, he’s maintaining and dealing with the lackluster PRV and we can’t help but respect his tolerance for such a commonly swapped-out engine. 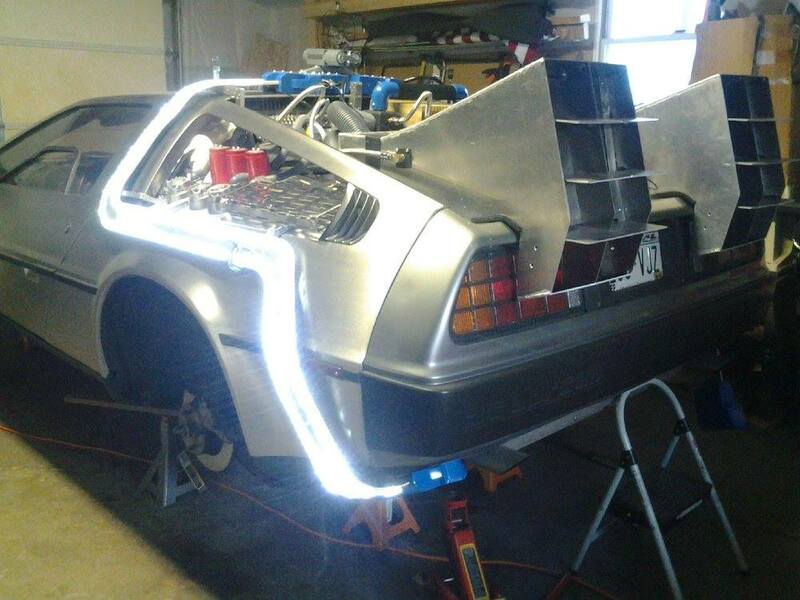 As far as mechanical mods, Hissem built a custom stainless steel exhaust for his DeLorean, but other than that, it’s mostly been routine maintenance. Hissem pointed out that when you swap out the engine, you’re trading one set of headaches for another. Especially since this is rear-engine, there are unique challenges with keeping the engine cool and the many little things that go along with any engine swap, like making sure everything fits properly. Speaking of headaches, Hissem told me about the challenges of daily driving with this thing. 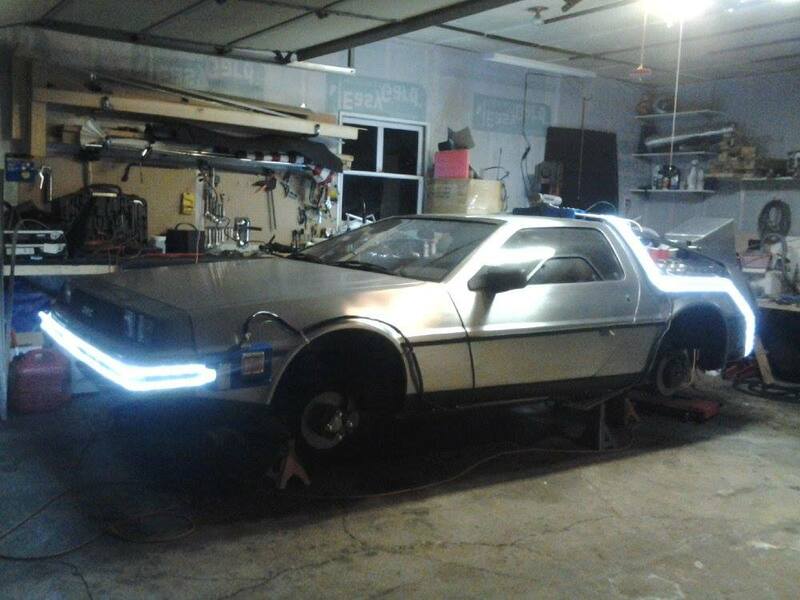 I repeat: this DeLorean time machine replica is daily driven, besides in winter. He says it drives well overall and the manual steering is fun and precise. However, the ride is a little rough and visibility is bad due to all of the extra decorative hardware on the car. Despite that, Hissem says it’s all worth it. “All the negatives aren’t enough to outweigh driving a dream,” he told me. So, what kind of reactions do you get when you drive a super accurate replica of a film icon every day? “It takes a special personality to handle the celebrity treatment of driving a celebrity,” said Hissem. He believes he has that special personality and I can’t help but agree. Hissem was extremely friendly and happy to talk about his car. Whenever he was asked to take a picture of someone with his beloved DMC-12, he was more than happy to do it. Hissem knows how excited he would be to see a car like this if it wasn’t his own and he treats the car’s fans how he would want to be treated. This unique brand of car enthusiasm ignites excitement in people who normally don’t care about cars. When someone sees a car with movie star status in real life, they can’t help but be star struck no matter how little they normally care about cars. Matt Hissem and his DeLorean are ambassadors to car enthusiasm and I hope we continue to have more people like him driving celebrities. 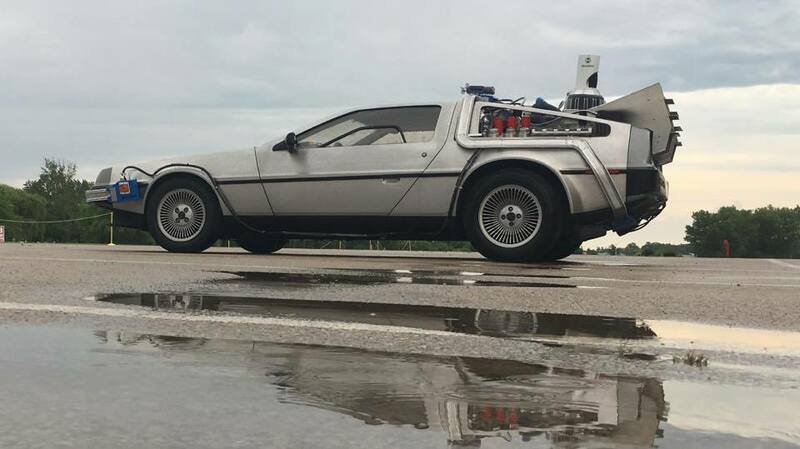 On Back to the Future Day, we meet the people who dedicate their lives to rebuilding the coolest TV/movie cars.